Western culture feeds the disease of inactivity. People stare at cellphones blankly. Television drones on with no one noticing. The couch (or recliner) develops a permanent and personal dimple. 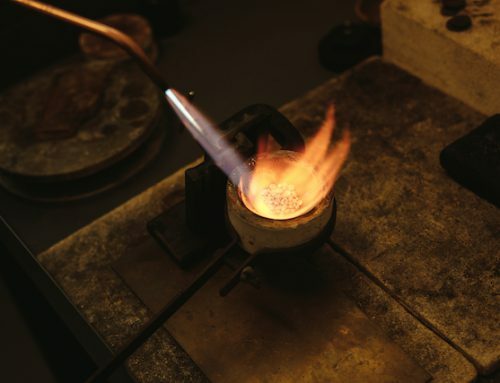 How do you stimulate your thinking? One of the best is reading. All kinds of books are good for your thinking, from Dan Brown page-turners to comedic treatments to biography. 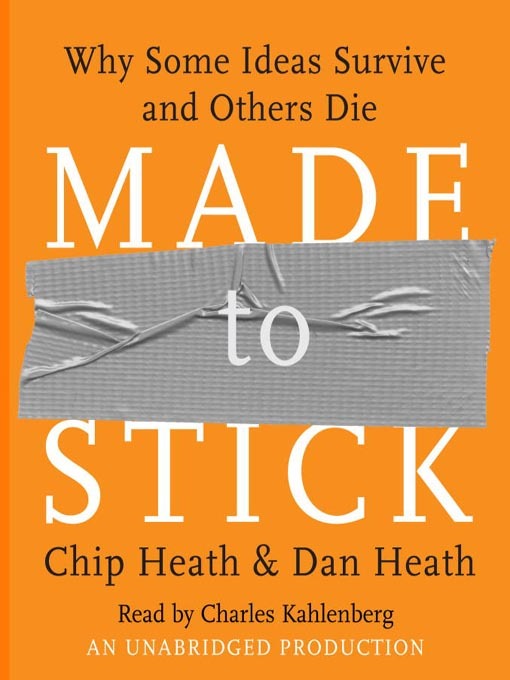 The brother duo of Chip and Dan Heath have written about topics which we struggle with in some way. While academic, they don’t write like the stodgy PhDs I know. They currently have three books. 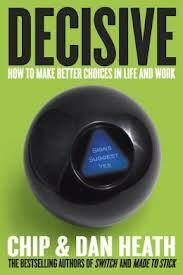 Their latest book, Decisive, intro ducted me to the whole world of the science of decision-making. Why does your gut not make good decisions? 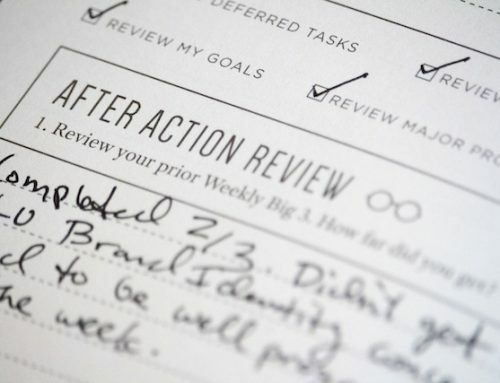 What does it take to make better decisions? Using the simple acronym of WRAP, the Heath brothers leads the reader through the unsuspecting minefield of making better decisions. 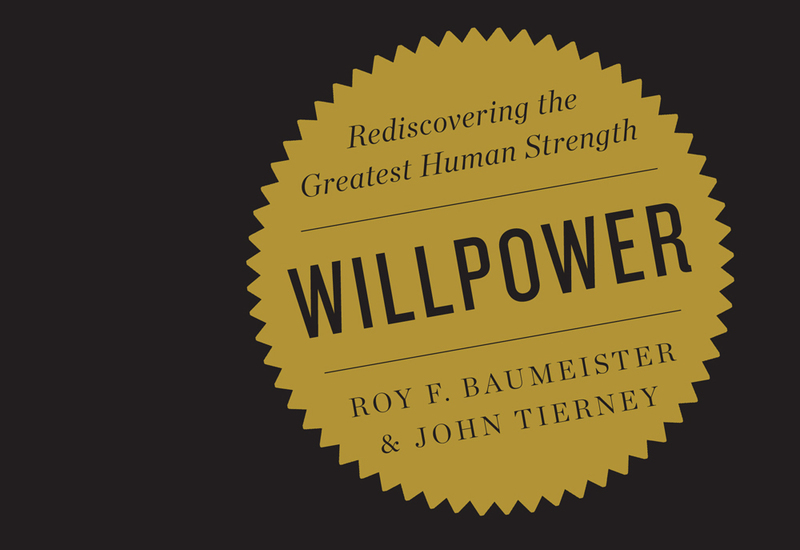 One of the revolutionary books for me is Willpower by Roy Baumeister and Jon Tierney. 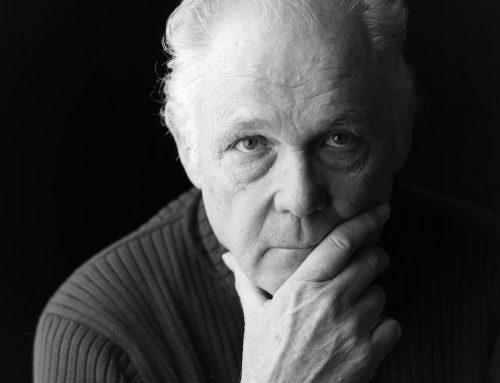 Baumeister is the leading researcher in the field of willpower. 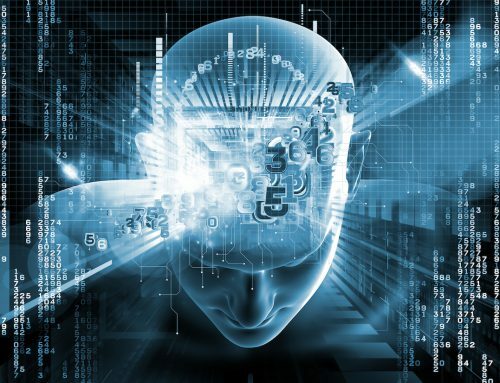 While the book is filled with many theoretical concepts, the reading is fascinating. You read of Eric Clapton as a regular Alcoholic Anonymous member. How did Drew Carey conquer his overflowing inbox? Should you diet if you want to lose weight? Why do you spend too much money? That is the “stuff” of Willpower. It is a book I reread every year because I get so much out of it. A final book is a recent one to me. Dan Ariely wrote an enchanting book called Predictably Irrational. 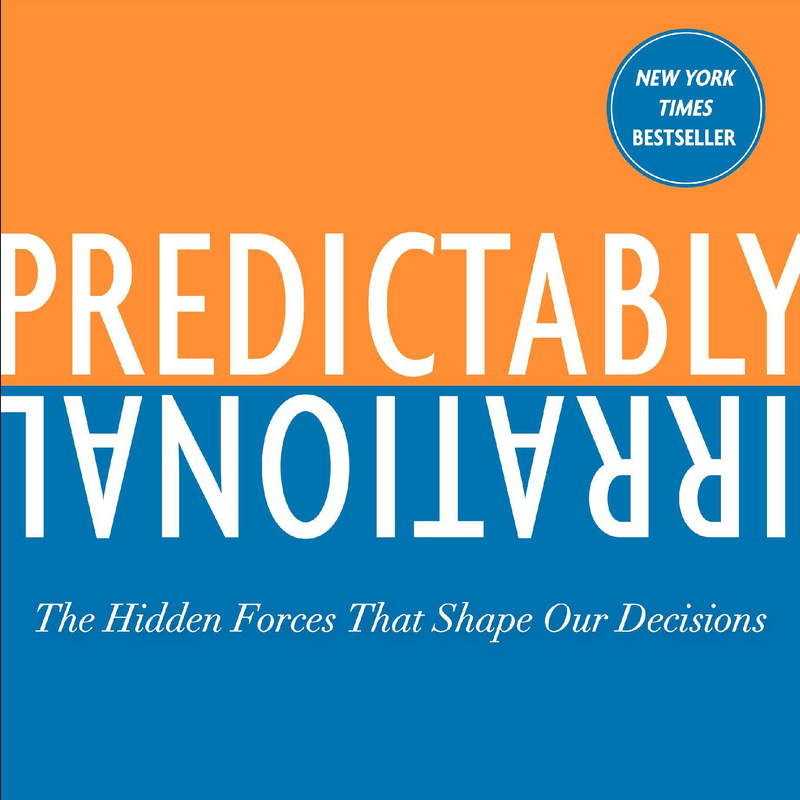 This is another “decision making” book but with a different twist from Decisive. Ariely, a professor at Duke University, doesn’t write like one. He is incisive, funny, and down-to-earth. 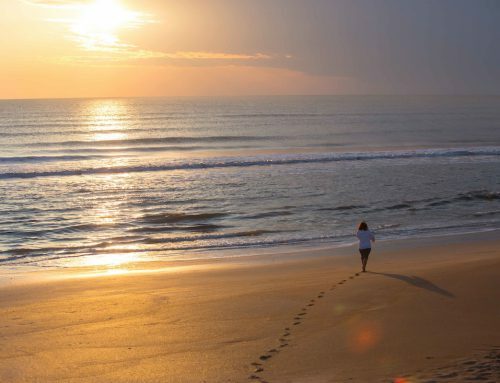 We all think we are rational in our lives, making decisions based on logic and good reasons, but we don’t. Why do you buy something you don’t need simply because you get something for free? (Don’t deny it, we all have!) This is a great book for exploring your own quirks and how to communicate better with those around you (who are just as irrational as you are). That’s good for a start. From time to time, I’ll provide more titles. Here’s to a brain that fires off hot!